It is Autumn 2 and we love Year 2! This half term our topic work will be centred around the text Zoo by Anthony Browne. To start our learning this half term we had a 'hook' day centred around our T4W text where we made puppets and explored characters from our text. We will begin by learning Peter and the Wolf. The children will learn the text off by heart through repetition, actions, story mapping and drama activities. We will have daily writing that develops their knowledge and skills. This new concept is a whole school approach. It will develop their confidence, expand their imagination and creativity as well as inspire the children to write with more passion. This half term's focuses are multiplication and divison, shape and pattern and money. To support the children in building their competency and fluency we teach the lessons through the CPA (Concrete, Pictoral, Abstact) method. Concrete - children have the opportunity to use real life objects to help them understand what they are doing. Pictoral - alongside the concrete, children will also have pictoral representations provided/ draw their own. These help the children to reason and solve problems. Abstract - once the children are secure and confident a with the concrete and pictoral stage they are then exposed to numerical concepts. Our creative curriculum is closely linked with our class reader text "Zoo". In geography we are going on safari to Kenya and learning about the zoo animals and their lives when in their natural habitats. In science we shall be exploring living things and microhabitats in more detail. In art we are exploring the work of Henri Rousseau and camouflage. In PE we are undertaking movement skills and invasion games with Mr Cyrus. Please ensure your child has their PE kit in school with them every day (indoors - white t-shirt, black shorts, plimsolls; outdoors - white t-shirt, jumper, black joggers, trainers). We suggest they bring it in Monday and keep it on their peg until Friday. Please ensure your child has an outdoor PE kit. Trainers would be preferable over plimsolls for outdoor activities as they protect the children's toes and they are waterproof. Our timetabled PE lessons are Tuesday and Thursday. However, this is subject to change so please ensure kits are in school all week. Please ensure that all of your child’s clothing is named. Our Library slot is Wednesday. Please ensure sure that all library books are in school ready for this lesson so your child may renew their book every week. If your child would like to keep their book for an extra week they still must return it so that it can be entered and then re-issued on the school system. Thank you for your continued support. RED (Reading Every Day) - this could be your allocated book, Bug Club, library book or any other suitable text. Please sign your child's diary each time they read. Read 5 x each week. Do this for 6 weeks and get a special prize in assembly. will receive a £10 book voucher. £100 to spend on books! So, parents please get signing those diaries!! Maths - 1 page set every Wednesday. To be returned the following Monday. 1 dojo for completed work. Times Tables - 1 page to be completed each week. The book shall be sent out each Wednesday and should be returned the following Monday. 1 dojo for completed work. Values Journal - sent home on the first day of every month. To be returned on the last Monday of every month. 1 dojo for completed work. 3 dojos for 1 child selected in each class. Their work is also displayed in the assembly hall for the whole class to celebrate for the following month. We are lucky to have secured funding for every child to have access to the following excellent resources at home as well as at school. The login details will be in the front of your child's reaing diary and separate letters have been sent home recently. If you have misplaced these details please see one of the adults in class and we will get the information for you. Active Primary - Bug Club (reading) and Abacus (maths). This is regularly updated by Mrs George with activities linked to classwork and at your child's level. Purple Mash - Hundreds of cross curricular resources and games available including spelling, writing in a range of genres, art, history, geography and science. Education City - reading, spelling, maths and science resources that match our curriculum. Your child can also undertake an online assessment and the results will determine which games are available in order to support them to make more progress. As you know, Year 1 and 2 put on a Christmas production every year. This year we will be performing "Hey Ewe". Children in Year 2 have speaking and acting roles which is a big responsibility so please help your child with learning their lines. Scripts and song words will soon be coming home. Letters with costume requests and the dates of performances to follow. We look forward to seeing you there! At Whitefield we value and encourage independence and work hard to support your children with this. When dropping off your children in the morning, please say your goodbyes at the door. Where possible, please do not accompany them into the cloakroom. We look forward to a very happy and successful year with Delightful Donaldson Class. Enjoying the flyover during our visit from The Raptor Foundation. 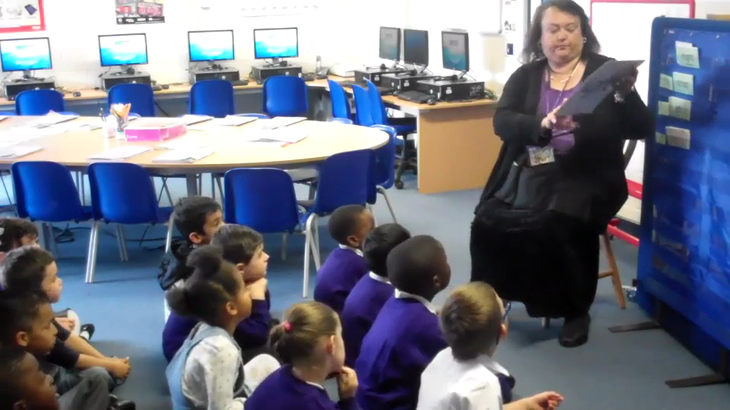 The children closed their eyes and opened them when they thought the owl was over their head. This taught us that an owl's flight is not only very swift but also silent! Baking Cottage Loaves and creating Tudor Houses during our Great Fire of London topic. We had a visit from Bedfordshire Fire Service. Uploaded by AudioBookGreatest on 2015-07-03. Great Fire of London Learn all about the Fire of London.